David Jobes, Ph.D., is a clinical psychologist and expert in the field of suicidology. Dr. Jobes is a Professor of Psychology and Co-Director of Clinical Training at The Catholic University of America. He also runs the CUA Suicide Prevention Lab, which researches suicidal risk assessment and recently developed a novel therapeutic approach to suicide prevention called the “Collaborative Assessment and Management of Suicidality” (CAMS). Dr. Jobes has published extensively on the topic of suicide prevention. He consults with professionals around the world to provide training in clinical suicidology. Dr. Jobes has also worked extensively with the Department of Veteran Affairs, consulting with each branch of the US military on suicide prevention and conducting empirical research with suicidal veterans and active duty military personnel alike. In this DVD, Dr. David Jobes provides a wealth of information on advances in treating suicidal clients, from causality and contributing factors to risk factors and treatment plans. Dr. Jobes draws upon years of research to discuss contributing factors that can lead to suicide. 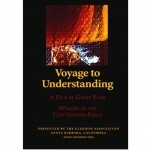 He addresses the risk and protective factors of suicidal clients, as well as the legal liabilities in treatment. Dr. Jobes shares his perspective on a variety of treatment methods, including Suicide Contracts vs. Safety Plans, CBT relapse prevention, Dielectical Behavioral Therapy, and medication vs. asylum. He introduces CAMS, a collaborative, new approach to assessing and managing suicidal risk. 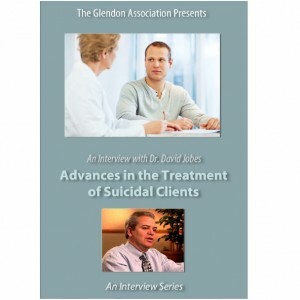 Emphasizing the individual difffferences in treating suicidal clients, Dr. Jobes explains that there is “not a one size fits all way of understanding all suicidal people.” The treatment techniques and information in this interview provide an excellent resource for any mental health professional interested in the treatment of suicidal clients.